Which Is Better? A Chesterfield 'Staycation' Or A Holiday Abroad? Summer is finally here and the sun is just about shining - the time of year that nearly everybody looks forward to! 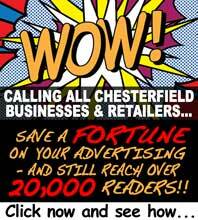 But, there is a big question hanging in the air that we all need to take a look at: should you stay in Chesterfield for the summer or book a last minute holiday? There is a lot to consider when you plan for summer and there is a lot to see and do, so don't make your mind up too quickly. 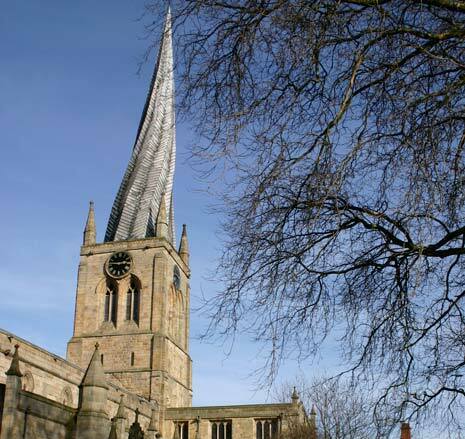 You won't be short of things to do this summer if you stay in Chesterfield as there is a full line up of events and something for everyone. There is lots to see at the Winding Wheel Theatre this summer as well as a fair few festivals and fairs. You also have the classic car and bike show, the Artisan market and Farmers' Market and Grease will be showing at the Open Air Cinema. You really can have a jam-packed summer when you stay in Chesterfield. However, if you're looking for a little more adventure, there is a lot going on abroad that you might want to take part in instead. In Memphis USA you can witness the mid-August Elvis festival, with special performances and Elvis themed events planned for the whole week as well as a contest to find the Ultimate Elvis Tribute Artist. You can also head to Austria towards the end of July to see the World Body Painting festival, where incredible artists turn their own bodies into a unique work of art. It seems like we have a lot to look forward to this summer as it is expected to be one of the hottest summers yet! Some forecasts expect temperatures to reach as high as 30 degrees by the end of June and the summer heatwave is expected to last until the end of August! However, blasts of heat are also expected to result in a few heavy bouts of rain every now and then, so make sure to stock up on ice creams AND brollies for your Chesterfield summer. If you're not much of a heat fiend however, and you're looking for somewhere a little bit cooler, there are lots of places abroad to choose from. In Finland, for example, temperatures are expected to be at heights of around 25 degrees with a bit of Summer rain splashed here and there to help you cool off and regular clouds to give a bit of shade when it's hot. In Germany, too, you can expect slightly lower temperatures with some clouds and rain. One of the biggest advantages of staying home this summer is the cost. You save money on accommodation, travel, car rental and so much more when you decide to stay at home, which means that you have more money to spend on entertainment, barbecues and ice cream. On the other hand, if you don't mind steering clear of the big tourist locations, it is possible to go abroad on a bargain.